A belated welcome to the 16th Railwaymedia﻿ Blog. It's been two weeks now since I last ventured out with my camera, though all is not gloom as I have really made the most of the time to catch up 'behind the scenes'. I have backed up something like 20 CD-ROMS worth of files to my new two hard-drives (following the failure of my previous one) and also re-processed a further 5, ploughing on with the task of resizing the photographs on my website. This latter task has got me through to June of 2006. The last batch included my first foreign trip. It seems strange to me now how long I left it to explore Europe by train, and indeed if it wasn't for family commitments I would be visiting a lot more! 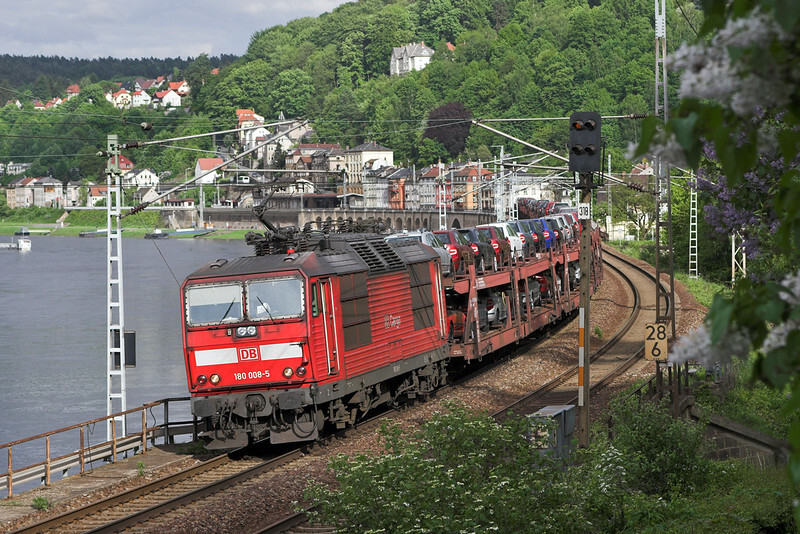 As it is, (and thanks of course to my wife for putting up with the once, twice and occasionally thrice annual absences), I have in the last 6 years visited 14 different countries and I really have got the bug for seeing how railways should be run. 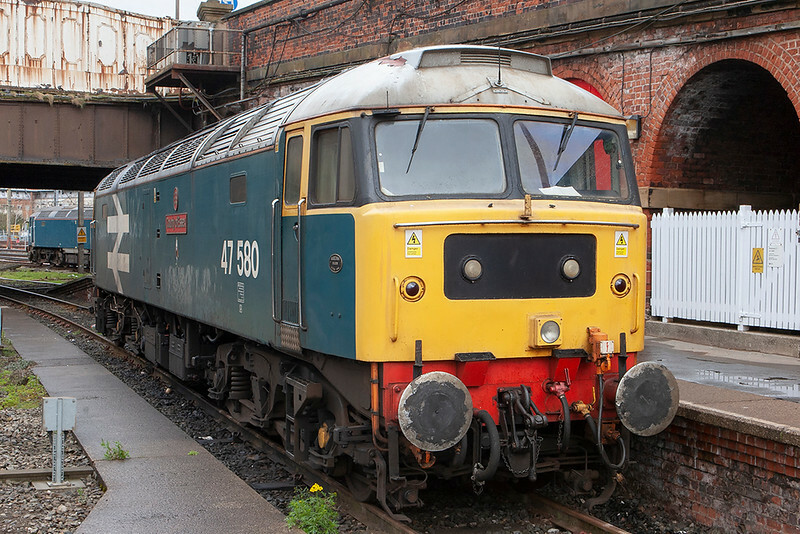 Back to the present, 47580 was parked up at Preston for some reason on Wednesday. The large-logo class 47 is rumoured to be going in for a repaint shortly so, despite it being just a record shot, at least I've now got a picture of it before that happens. Parked beyond it was 57316 in the plain blue livery applied to the two loco's designated as standby engines for Arriva. 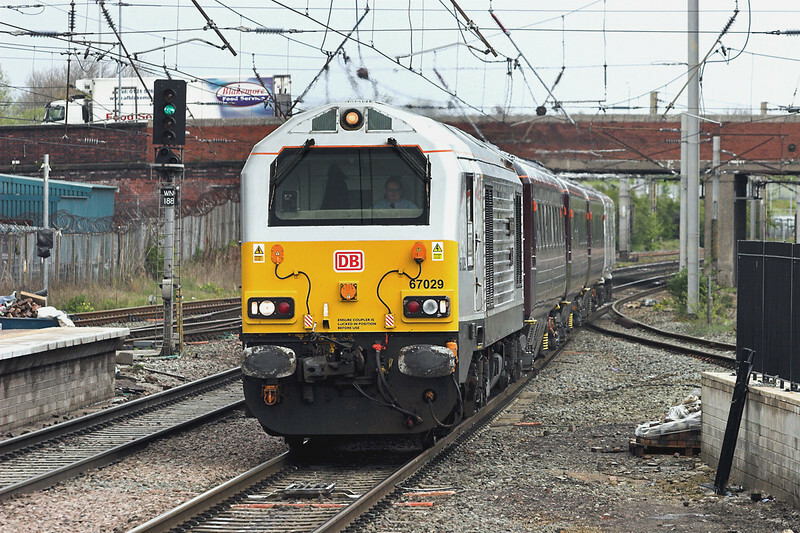 With their loco hauled service operated by class 67's from this month, the four dedicated locos 57313 to 57316 are now mainly used for the Pendolino drags (when they can actually get the couplers on the class 390s to work). And onto today, Thursday, when I spent a little time at Warrington. Whilst I'm not a great fan of hanging around stations, needs must due to work, and indeed there are worse stations at which to do so due to the variety of freight and the locations you can reach within a short walk. GBRF 66726 was there when I arrived heading the twice weekly Carlisle to March engineers train. It leaves Carlisle at 0305 and doesn't leave Warrington until almost 0900, so has very leisurely timings. 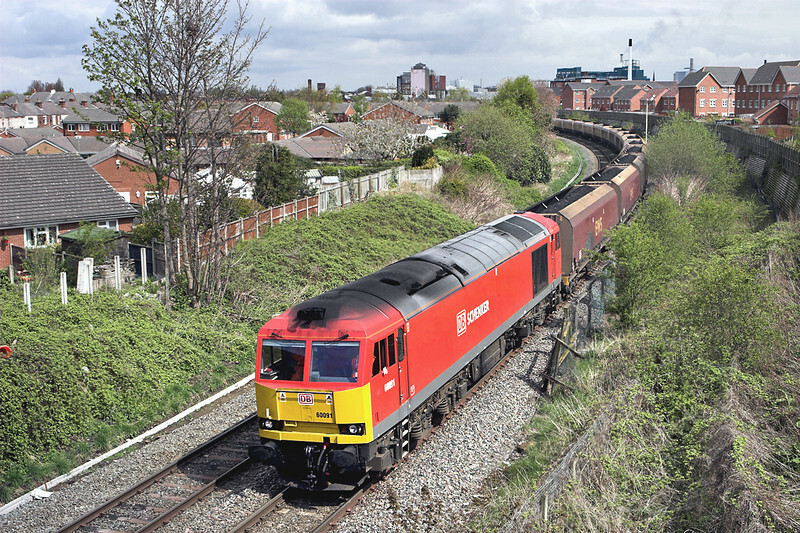 Another highlight of the day was 67029 working the former EWS 'Managment Train' from Glasgow to Bescot. It has recieved full 'DB' brandings since I last saw it. The Liverpool to Fiddlers Ferry coal trains were running late as usual. There were three trains out on the circuit, two class 60s and a 66. I understand they were trying to play catch up from the day before when they were stacked up trying to get loaded at the docks. 60065 was out again; it seems to have been working out of Warrington ever since my last visit, detailed in Blog Number 12 . It's partner was DB Red 60091. This arrived at Bank Quay in very poor light, but there were a few small breaks in the cloud appearing by the time it had done its double run-rounds at Walton Old Junction and Latchford as it, and 70006 on the following Ellesmere Port service, passed Sankey Bridges there was suprisingly a short amount of lovely sunshine. My first sunny shot of a 'red Tug'. All in all a successful hour or two. I am hopeful of being able to get a little further afield in the next week or so, so please keep checking back here for updates. If you are on Twitter you can, though don't ask me why you would want to, 'follow' Warrington Bank Quay: @VTWarringtonBQ .